Sports Rendezvous: Ayittey Powers: Ghanaian boxer beats up comedian on live TV. 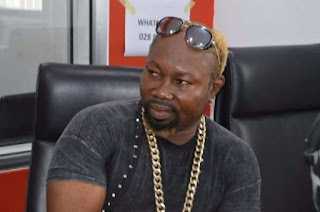 Ayittey Powers: Ghanaian boxer beats up comedian on live TV. Powers pounced on the comedian after an argument ensued during an interview. A Ghanaian boxer Ayittey Powers tried out his fighting skills on live TV after beating up a comedian on during an interview on Monday, February 19. Powers is a Ghanaian heavyweight boxer who has been fighting since 2000. The 37-year-old has made the news following a viral video which shows him beating up a comedian Baba Spirit on live TV. The boxer and the comedian were both guests on a show on Amansan TV where they clashed after an argument ensued. Powers then pounced on him before he was held back by two men in the studio.